Let us help! We are flexible! 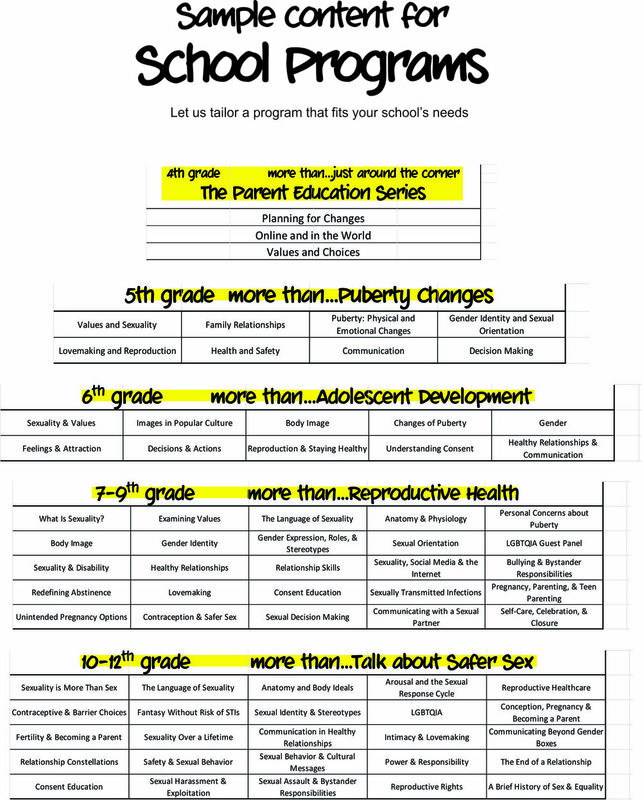 We create programs to meet the unique needs of each school and their students while fulfilling the requirements of the California Healthy Youth Act. Sample plans listed below can be modified as needed. Contact us in order to explore the options.